We are leading Natural Cotton Shopping Bags manufacturer, supplier, wholesaler & exporter from Kolkata, India. Mainly we use 140 to 150 gsm cotton fabrics to make our cotton shopping bags but if you want low weight fabrics we can provide you that also. 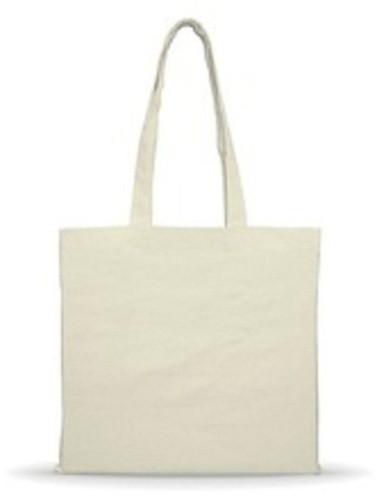 Cotton shopping bag is a light weight bag but it is very durable. You can customize these cotton shopping bags as per your specification. We use only fresh unbleached 100% cotton fabrics to make our cotton shopping bags. Earthyy Bags since 2016 has gained regard among the prominent manufacturers of best quality Jute and Juco Bags. Located at Kolkata, (West Bengal, India), Offered range comprising of Jute Natural Bag, Jute Storage Bag, Jute Garden Bag, Jute Sling Bag and many more, these are designed from high-quality material with the assistance of our experienced designers.